Published on November 10, 2009 in Detention, Featured and Insight. 4 Comments Tags: azadi, obstruction of injustice, pagani, Revolt. Hello, my name is Milad. I am 17 years old. I was for 23 days imprisoned in Pagani in Mitilini and first I want to define how was the situation inside this prison and how was the behaviour of police and doctors with us. Some guys were sick for weeks, they were calling for a doctor, but nobody was ready to listen to our voices. There was no treatment for sick persons and the drinking water had a bad smell. If we asked for a doctor, for clean water or anything, mostly nobody was even listening. They also did not have a good behaviour to the families with the small kids. One day I saw the kids had their ten minutes time to go out. They were playing football and one policeman was beating a small kid, he was about 8 years old, his mother was crying. 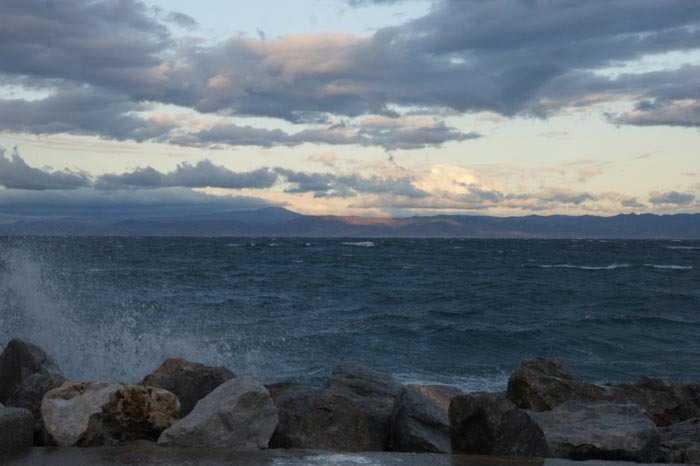 Published on November 6, 2009 in Lesvos and Photos. Closed Tags: obstruction of injustice, pagani. A building collective memory can not be erased through cleaning or repairing the building. Pagani has been “closed” few days ago. All refugees that where part of the revolts have been free and could leave Mytilini. Probably that was one of the reasons to close Pagani , the hope that all the knowledge about the revolt would disappear together with the refugees. But also buildings have a collective memory.and no repair or cleaning can take away from the walls of Pagani the history of the revolts. the walls will all the time talk to the newcomers and tell them the stories they heard, and they will all remember! 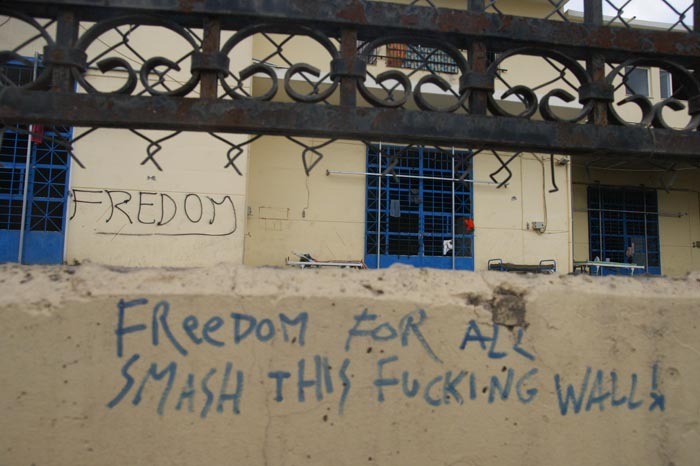 Published on November 2, 2009 in Deportation, Lesvos and Photos. Closed Tags: azadi, obstruction of injustice, pagani, Xios, yeahyeahyeah. 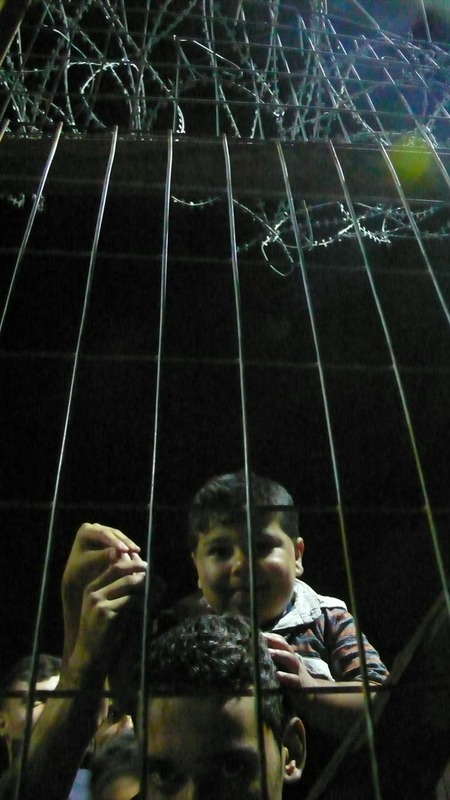 It was the last night of Pagani when a group of imprisoned refugees started singing again. The conditions inside had changed within the last days. Police had slowly given up to control the situation, they just locked the people inside and stayed outside. 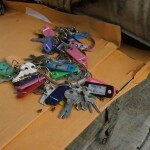 Since the doors were broken the refugees could move inside the yard and to all the cells. Some of the cells were burned, each revolt inside had left it’s signs on the building. It looked as if the building was breathing its final breath. Burned mattress were just thrown in front of the door. The yard was used to play football in these last days. And there was the singing in the night. didn’t belief it, our friend who was narrating about the party gave five Euro (“because it sounded crazy enough for me”). The guy jumped over the fence and came back with cigarettes, whiskey and beer. They started drinking and telling each other their stories of migration and what they are missing and about their life. “When I told my story it was so and I started crying myself about it.” When the beer was finished they wanted some more and so the guy jumped again. The police came to him and said he can not leave. “But I have to go shopping!” he said to them. “If you don’t want me to go I can make a list with our needs and you go get it for us.” Obviously the policemen didn’t want to go and said to him: “Okay go, but you have to return, you know!” He went himself and returned again with more beers. A real party started with a lot of songs in various languages. A lot of sad songs about the things people left behind – but also dancing and the hope to go further. 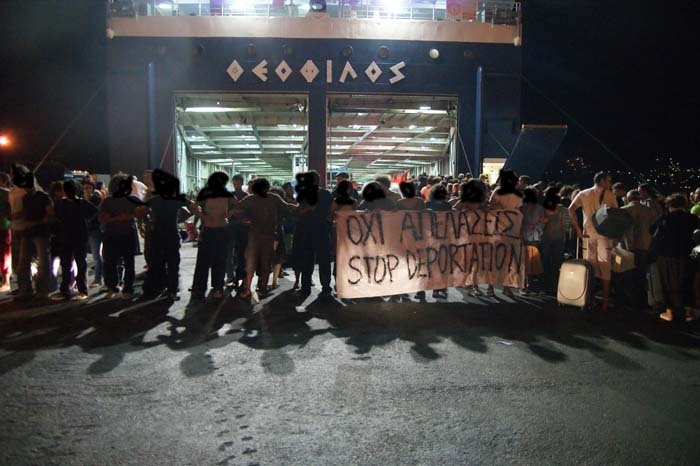 In the next morning there the first deportation from newcomers to Xios took place. It happened silent. They brought one bus with families a second one with men and boys and in the last minute a smaller one to the harbour of Mytilini. 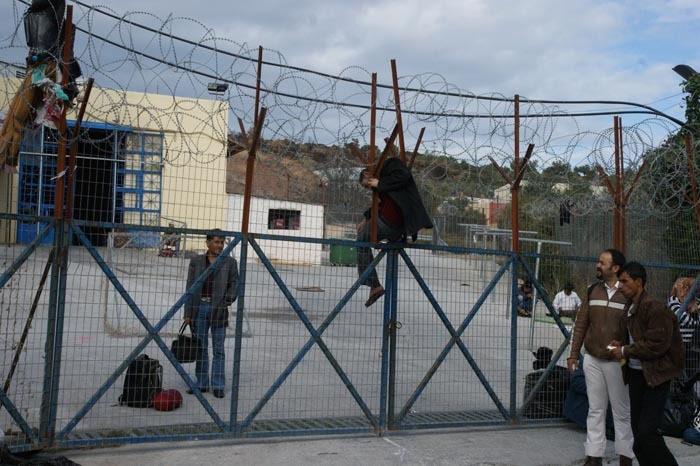 All in all about 50 people were brought to the detention camp in Xios. A lot of things to be done to stop these deportations to another prison, to prevent the old Pagani-building to be renewed and reopened — and to fight for open centres and of course papers for everyone!!!. Maybe, Pagani could be used as a memorial place. 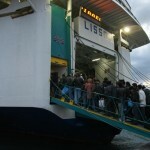 The ferry that was supposed to leave Mytilini on Sunday at 6:00 pm could not go because of the weather. Today, three days and two nights later, the ship with the released people has left the harbour of Mytilini. Pagani is abandoned – looking ancient already. Pagani: ghost town of "tomorrow"?! 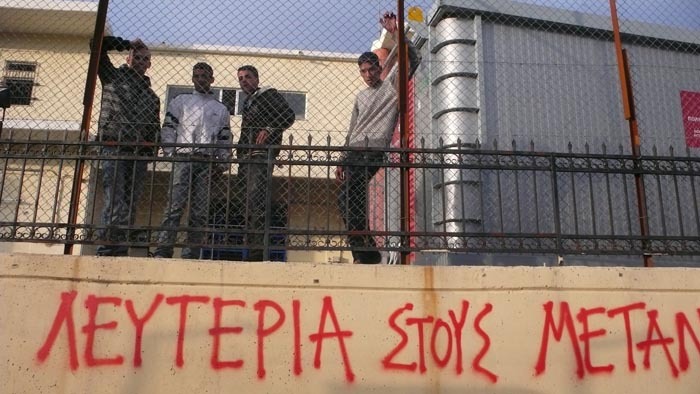 Published on October 30, 2009 in Detention, Featured, Lesvos and Revolt. 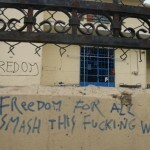 3 Comments Tags: azadi, freedom, obstruction of injustice, pagani, Revolt, we are everywhere, yeahyeahyeah. The prefecture announces the release of the last 130 refugees from the detention centre of Pagani for tomorrow. The newspapers report that it might be renovated from Monday on but leave also the option that it might be closed down forever. Temporarily new arriving refugees will be temporarily hosted in the hotel Zaire until their transfer to the detention centre of Chios island. The revolts of the detained refugees and their constant pressure together with the constant support from antiracist groups resulted in a small success. The short term aim is to keep this detention centre closed, while the real success roots in a future without detention centres! Published on October 27, 2009 in Detention, Photos and Videos. 1 Comment Tags: action, obstruction of injustice, pagani, repression. Today a number of events around Pagani where reported by our NoBorder activists in Lesvos. Some good news arrived today. During the night, the prisoners opened the locks of the cells. Until now the police did not close them up again. At present there are at least able to move around the detention centre an the prison yard. 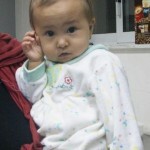 It was the first time that we saw little children in the prison yard. In the afternoon, 90 people where released from pagani and where broad to the harbour. This time every on was able to go on the ship, nobody has to spent the night at the harbour. Published on August 14, 2009 in Deportation and Run Up. Closed Tags: direct action, obstruction of injustice, yeahyeahyeah. people went in front of the center but the transport was cancelled. Published on August 5, 2009 in Deportation and Run Up. Closed Tags: direct action, no deportation, obstruction of injustice. In Vathy of Samos, the mobilization of local initiatives was successful. After 3 hours of seizure of the catapult, the ship departed for Theofilos to Kavala without the deportation of 60 refugees (Afghans and Somalis). The mobilization was very exiting with the refugees being synchronized through the crates with the collateral shouting “freedom”. Published on July 25, 2009 in Featured and Run Up. 2 Comments Tags: direct action, no deportation, obstruction of injustice. The greek government has this “six point plan” about how to deal with what they refer to as illegal migration. 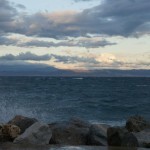 You can read more about it at the website of our friends from Thessaloniki. A ship of sufficient tonnage to be used as a first reception and transport centre. This ship will sail near the islands of the Aegean where illegal migrants have been arrested, it will take them on board and carry them to the reception centres already in, or due to be put into, operation. The ship must be equipped with the necessary logistics infrastructure so as to ensure a complete health check of illegal migrants and to cross-check their identification data in order to ascertain their country of origin reliably and in a timely manner. Apparently, this ship has already been chartered, but is still in the process of being refitted: they need to build cells and such. 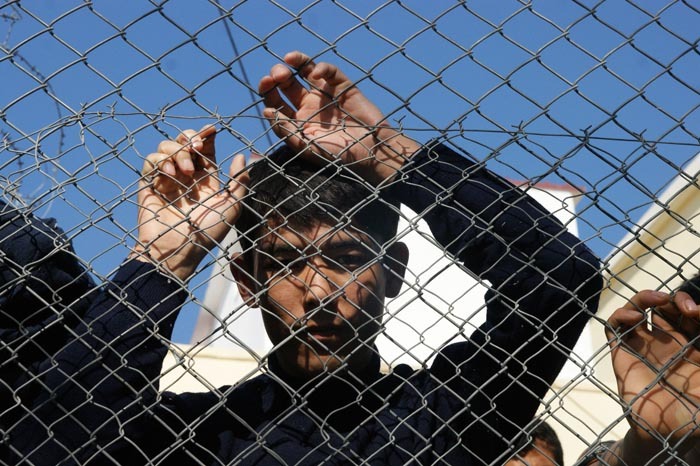 The plan however is clear, the greek government wants to centralise the internment of refugees. A couple of days ago, there was the attempted deportation of 62 refugees from Lesvos to a detention centre in mainland Greece. As you can read at occupiedlondon blog, this failed miserably due to intervention of antiracist activists. As soon as embarkation started, the guards created a cordon around the migrants and started to lead them on foot toward the catapult of the boat. The sixty of us who were there jumped in front of them, blocking with banners and with our bodies their entrance to the boat. 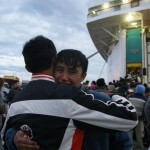 At the same time, we shouted slogans and handed out texts to the people that continued entering and exiting the boat. Following an initial surprise, the return of the migrants back to the bus that transferred them was decided. We held our positions exchanging slogans with the migrants who slowly started to realise what was going on and in turn started to shout and to wave. You can find more pictures at Athens Indymedia.